When I rather reluctantly agreed to design the posters for Newport Playgoers' 88th Season, I decided that, in order to avoid any problems with copyright, I would create the images for the posters myself. 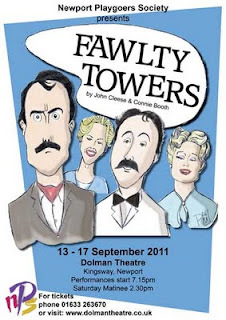 First production of the new season will be 'Fawlty Towers' featuring a range of instantly recognisable characters such as manic hotel owner Basil, his wife Sybil, hapless Spanish waiter Manuel and Polly the maid. There was plenty of reference material available for their faces - from photos to drawings. 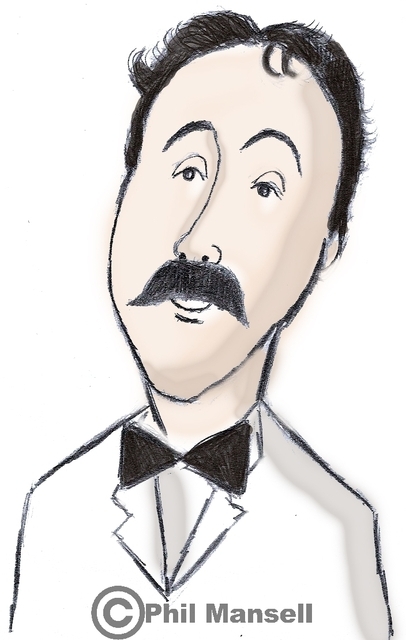 ﻿﻿ The one I spent most time on was Basil, as played on TV by John Cleese. I decided to concentrate on the characters' head and shoulders, using simple clean lines. 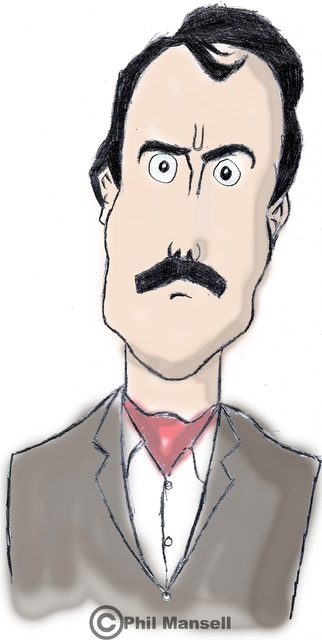 ﻿﻿﻿﻿﻿﻿﻿﻿﻿﻿﻿﻿﻿﻿﻿﻿﻿﻿ After doing a version I thought captured the character I put it into Photoshop where I added the colours, layer by layer. As well as the characters, I realised it was also important to draw the shape of the iconic sign from outside the hotel for the title of the play to go in. ﻿﻿﻿﻿﻿﻿ With all the artwork finished, it was then a case of importing them all into Adobe InDesign and playing with a range of different compositions to create the final poster, which would serve as a template for all the other posters. Next: Creating the poster for 'Humble Boy' by Charlotte Jones. Click here to read it.